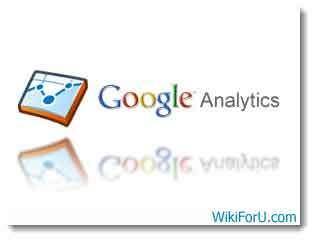 Google Analytics is a program by Google for webmasters which helps a webmaster to analyze his website or blog. It provides very handy tools and all true information to a webmaster so a site owner can know all about his website and website visitors. It provides ability to know about your website visitors. A webmaster can know a lot of information from Google analytics about his visitor. For example: The Operating System of Visitors, Browser of Visitors, Region or country etc. It is a helpful tool for a webmaster. With the help of this a webmaster come to know that what his visitors demanding ? This is also good for Search Engine Optimization. Real Time Status: This is very good feature of newer version. Now Google Analytics provides Real-time status for a website. This means now a user can see how many visitors are using his website at that instant of time and what they are browsing. The results of real-time is updated after every second, thus these results are true and not fake. This feature "Real-Time" is still in its Beta version, so sometimes there may be some bugs or errors in this. Google Analytics developers will shortly launch a stable version of this. Real time can be accessed by going to Home of your account and then clicking on Real-Time. New Updated Mobile Reports: Now you can also watch how your website is working on Mobile Phones with Mobile Reports. Mobile Reports provides you information about your mobile visitors. For example : The device name or model etc. The main thing in this is that now you can know all about the device of user like Input Methods etc. Actually Google Analytics added this feature in June, 2011. Now they have updated it. To access Mobile Reports On your analytics page look for Mobile in the left side and click on "Mobile". Now you have two sub-menus. First one provides an overview of Mobile visits of your Website. Second one provides some details of Mobile Models and some other details,like bounce rate, new visits etc. Multi-Channel Funnels: You may uses your website for providing information or to sale items. Whatever you do, you may interested to know from where your visitors come, which site or search engine played a big role in visits of your site. Multi-channel funnels providers all information about these questions. It is very helpful for analyzing which websites refers more visitors to your site. This is also helpful for choosing best ad service. The Multi-Channel Funnels provides information about all these things. Multi Channel Funnels can be accessed by clicking on conversions on left bar.